Young Queenslanders for the Right to Choose organised a public forum attended by up to 150 people in the Queensland Parliament House on July 12. A similar forum took place in Cairns the next night. Full audio of the forum can be found above. About 60 anti-uranium protesters set up a bonfire in the middle of the road leading to Olympic Dam, in South Australia, stopping all traffic in and out of the BHP Billiton uranium mine for about 19 hours on July 3. Olympic Way was also closed for about 90 minutes on July 2 as about 200 demonstrators undertook a funeral procession, carrying a black coffin and baskets of animal bones to the gates of Olympic Dam. The protest was organised by Desert Liberation Front, which opposes toxic waste dumps in Australia and wants BHP Billiton's uranium mine to be closed within two years. Up to 150 residents of inner western Sydney crammed into the chambers of the now-sacked Ashfield Council to oppose the state government's dismissal of three suburban councils and their merger into an "Inner West Council" and to protest the controversial WestConnex tollway project. They demanded that undemocratically installed one-person administrator Richard Pearson take action on his stated intention to oppose WestConnex, in line with the unanimous positions of the three sacked councils, Ashfield, Leichhardt and Marrickville. New South Wales has become the first state in Australia to ban greyhound racing, with an announcement on July 7 that it will be banned from July 1 next year. Premier Mike Baird said the government was left with "no acceptable course of action except to close this industry down" after it considered an 800-page report by a special commission into the "widespread and systemic mistreatment of animals" in the industry. United Firefighters Union (UFU) members handed out leaflets at polling booths in Victorian marginal seats on election day, in an attempt to counter a Liberal scare campaign against a new enterprise agreement for UFU members employed by the Country Fire Authority (CFA). The Liberals falsely claim that the agreement gives the UFU the power of veto over CFA management decisions, and that it would prevent volunteer firefighters from fighting fires unless seven professional firefighters were present. They claim that the agreement endangers public safety. There was some good news in the federal election. Ten Coalition members lost their seats in the July 2 federal election. Jamie Briggs lost the seat of Mayo with a swing of 16%. Sophie Mirabella lost in Indi again with a further vote decline of 17.5%. Andrew Nikolic lost in Bass with a decline of 10.8% and Wyatt Roy lost with a swing of 8.4%. Overall the Coalition vote was down 3.5%. Other Liberal figures who lost support but not their seats included Christopher Pyne, down 9.53%; Tony Abbott, down 9.01%; Peter Dutton, down 5.6%; and Kevin Andrews, down 7.6%. NSW Premier Mike Baird has announced a ban on greyhound racing, after the state government considered an 800-page report tabled by a Special Commission into "widespread cruelty" in the industry. The Special Commission, which was sparked by ABC's Four Corners investigation into the industry, was presented to racing minister Troy Grant last month. The report found that between 48,000 and 68,000 greyhounds — almost half of all greyhounds bred to race — were killed in the past 12 years because they were deemed uncompetitive. Maintenance workers at Griffin Coal and their supporters held a protest outside the Fair Work Commission (FWC) in Perth's CBD on July 5. They called for a stay on the commission's decision to terminate the recent enterprise bargaining agreement between the Australian Manufacturing Workers Union (AMWU) and the company, citing the latter's alleged unprofitability. Griffin Coal claims to be surviving only due to financial support from its parent company, Lanco Infratech. The 70 workers, who work at Collie in WA's south-west, face a 43% pay cut if the FWC's decision were to stand. US soldier Chelsea Manning, jailed for handing over classified files to pro-transparency site WikiLeaks, was hospitalised, her attorney said on July 6. The comment came after media reports that Manning had attempted suicide. One of Manning's attorneys, Nancy Hollander, said she was outraged over the release of her client's confidential medical information to the media. In response to the revelations of wholesale tax evasion in the Panamanian tax haven, Oxfam International launched an international campaign advocating for the eradication of tax havens and fiscal opacity. Ecuadorian President Rafael Correa, has become the first head of state to actively sign, endorse and promote Oxfam’s letter and campaign. The Ecuadorian leader has reaffirmed his commitment to push the changes advocated by the campaign from his position as president. French unions protested on July 5 as the government forced a bill attacking workers’ rights through a hostile parliament. While international media floods to cover the killing of police officers in the United States, the deaths of Latinos often go unnoticed. The police killings of Black men Philando Castile and Alton Sterling, which have sparked angry protests, have also justly occupied the news waves, but the death of four Latinos this week slipped by. Protesters march against the education reform in Mexico City. 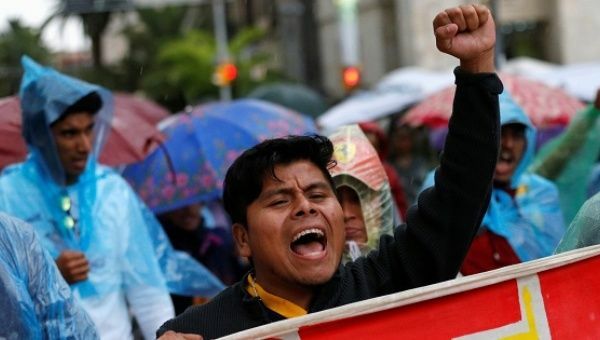 Public school teachers in Mexico City launched an indefinite strike on July 5, called by leaders of the dissident National Coordinator of Education Workers (CNTE) teachers union to protest the education reforms imposed by President Enrique Peña Nieto. The release of the Chilcot Report on July 6 has led to renewed calls for former British Prime Minister, Tony Blair, to be prosecuted at the International Criminal Court (ICC) for his role in starting the Iraq War. “Protesters in Chicago, New York and St Paul, Minnesota, took to the streets on July 7 to express outrage after the second fatal police shooting of a Black man in the United States in two days,” Reuters said that day . Reuters said the protests were peaceful but tension was evident after the shooting of Philando Castile, 32, by police near St Paul on July 6. His girlfriend posted live video on the internet of the bloody scene minutes afterward, which was widely viewed. Corbyn supporters celebrate his victory in Labour leadership elections in September. The media-backed attempted coup by right-wing Labour Party MPs against Labour leader Jeremy Corbyn has failed, amid large demonstrations and public meetings across Britain defending the left-wing leader. The federal election is now over and the final outcome is still being worked out, but the winners and losers are becoming clearer by the day. The two biggest losers were the major parties. While the Coalition retained enough seats to still be able to govern, it lost its sizable majority in the lower house and is facing an even more hostile Senate. The Labor Party recovered several seats overall, but it still managed to record its second lowest number of votes in a Federal election since World War II. While the votes are still being counted and the deals brokered, the resurrection of Pauline Hanson's racist party has sparked concern and outrage. Pauline Hanson's One Nation party has won at least one, possibly three Senate seats: Hanson claims it could be as many as six. It polled the fourth highest nationally of all parties contesting the Senate, after Liberal, Labor and the Greens,. The election platform One Nation presented was blatantly racist and anti-Muslim, and poses a threat to civil rights. Working women have lost their finest advocate. Lynn Beaton was one of the first of her generation to take up the fight for women's rights within the Australian trade union movement. Throughout her life Lynn was an active campaigner for the rights of women at work, as well as a researcher, strategist and historian of the labour movement. Lynn was born in Victoria, but in 1960 the family moved to London. Lynn spent her teenage years in swinging London, returning to Melbourne in 1966. The Chilcot Inquiry into Britain's role in the Iraq War has prompted calls for a similar inquiry into the Coalition government, then led by John Howard, taking Australia into war in 2003. Andrew Wilkie, the only intelligence official from the US, Britain or Australia to dispute the official explanation for the Iraq War, said on July 7 there should be an investigation into the Howard government's decision to go to war. The hole in the ozone layer was first discovered in 1985 by scientists from the British Antarctic Survey, who described how ozone levels above the Antarctic were steadily dropping compared to the previous decade. This was quickly recognised as a severe environmental problem — and the culprit was identified as the unchecked use of chlorofluorocarbons (CFCs). How can we tackle the rise of Islamophobia? Election after election of racist and Islamophobic rhetoric from both major parties, combined with a growing swarm of far-right outfits, is resulting in violent hate crimes. A car firebombed at the Thornlie mosque in Perth on June 28 and racist graffiti on the wall of an Islamic college are the latest in a string of attacks. Hundreds of people were praying inside the mosque and it was only a matter of luck that no one was injured or killed. Armed with the findings of the Nuclear Fuel Cycle Royal Commission, South Australian Labor Premier Jay Weatherill is pressing ahead with plans to import as much as a third of the world's high-level nuclear reactor waste and store it in the state's outback. There are compelling reasons to reject it. The project, it now emerges, could go ahead only over resistance from Indigenous traditional landowners, some of whom took part in the Lizard Bites Back convergence in early July. Now that the University of Tasmania (UTas) is implementing a carbon neutral policy, it is time to focus efforts on full divestment from fossil fuels. Resistance: Young Socialist Alliance activist Emma Field asked Carly Rusden from Fossil Free UTas about their latest action. I put a few banners up to represent our group Fossil Free UTas today. This is mainly to raise awareness of the fact that the university has some investments, directly and indirectly, in coal, oil and other fossil fuel industries. 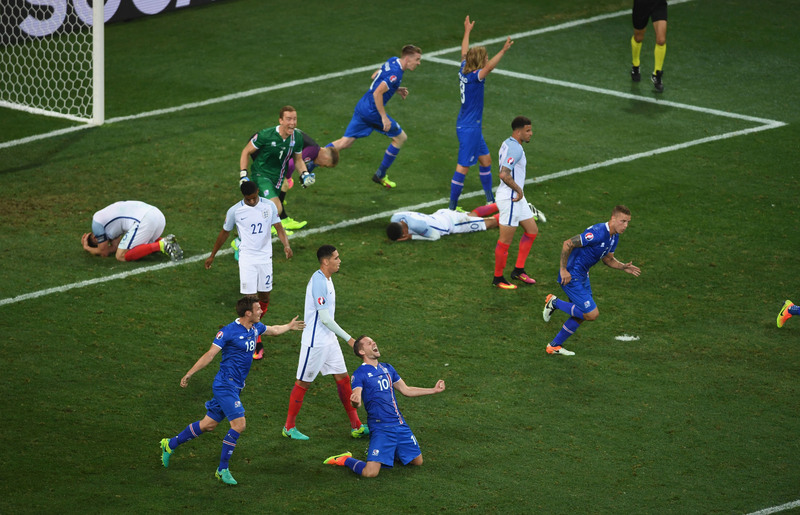 England lose to Iceland and “Brexit” from Euro2016, June 27. What a time to be in London. My family's long-planned vacation has given us a ringside seat for the greatest humiliations suffered by Britain since boxer Frank Bruno tried to take down a young Mike Tyson. 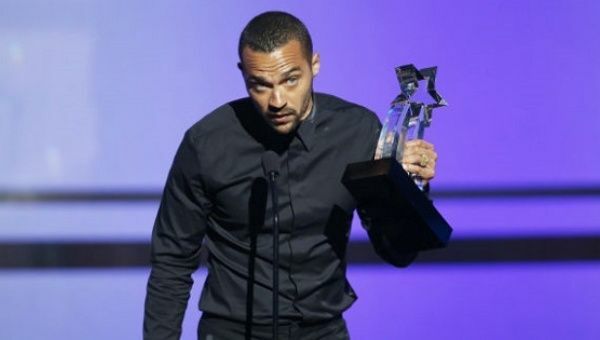 Jesse Williams used his award acceptance speech to denounce institutional racism and police brutality. Grey’s Anatomy star Jesse Williams has been attacked for speaking out against racism with an online petition that garnered a paltry 1600 signatures in two days, demanding television network ABC fire the actor. By contrast a counter-petition in support of the star had received 11,000 signatures by July 4.